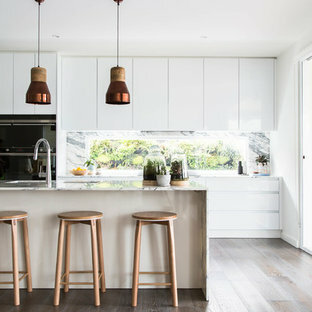 Richard Whitbread, Fairlight interior by Amazema. 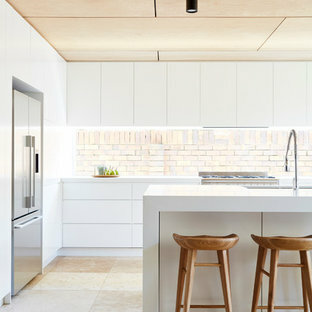 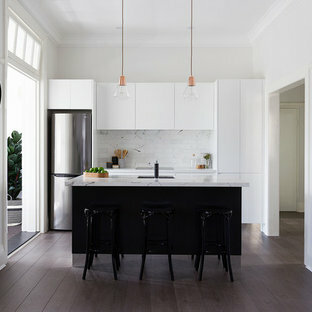 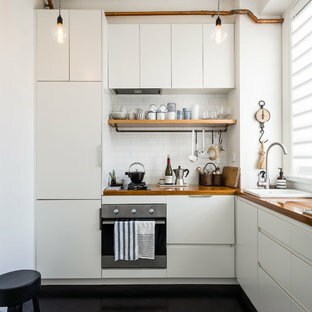 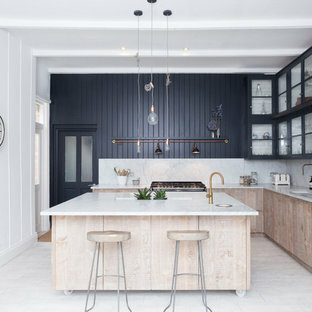 Striking vertical woodgrain cabinetry and a white colour palette. 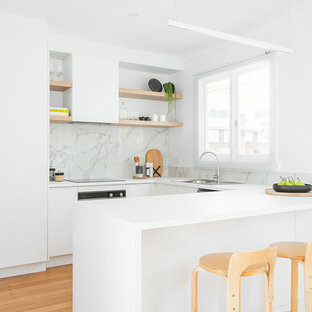 Have your smashed avo in your own breakfast nook. 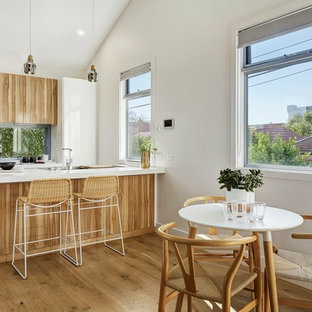 Kitchen Craftsmen created this amazing Scandinavian styled kitchen and laundry for the Ferguson Family featuring Essastone Australia Carrara Matt bench tops that are scratch, stain and chemical resistant. 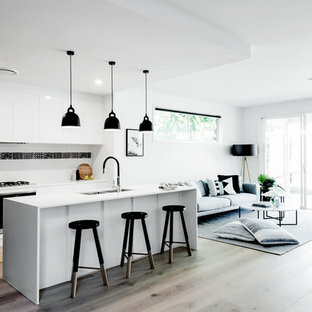 Our favourite part is the Franke Australia Fragranite Sink in Onyx and the low-level cabinet fronts in Graphite Grey Createc by Polytec, which expertly contrast the light wooden floors and Natural Oak Ravine cabinets also by Polytec. 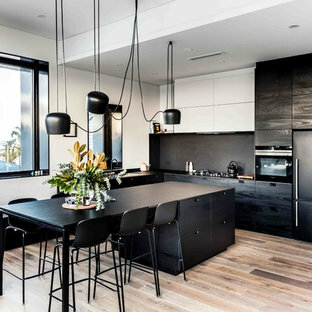 Just when you thought you’d seen all this kitchen has to offer, inside the cabinets and drawers you will find an ultra-modern black texture finish, a great little touch that is sure to impress even your most discerning guests.